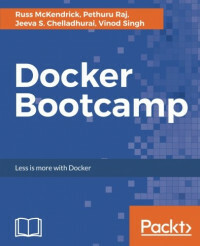 This book targets developers, IT professionals and DevOps engineers who like to gain intensive, hands-on knowledge and skills with Docker without spending hours and hours in learning. If you have been struggling to find the time to gain proficiency and confidence with Docker containers and everyday Docker tasks, you have come to the right place! This book is all about fast and intensive learning. That means we don't waste time in helping readers get started. The content is about filling in with highly-effective examples to build new things, show solving problems in newer and unseen ways, and solve real-world examples.